Approach prevents cancers from making proteins they need to grow and to evade the immune system, while leaving healthy cells unharmed. As reported in Nature Medicine on January 14, 2019, using both a genetic approach and a drug currently in clinical trials that directly inhibits translation — the cellular process by which genetic material is transformed into proteins — the researchers were able not only to slow tumors’ rampant growth in a new mouse model of liver cancer, but also to block the cancer’s ability to evade the immune response. One class of immunotherapy drugs, called checkpoint inhibitors, blocks checkpoint proteins to render tumors visible and vulnerable to attack. 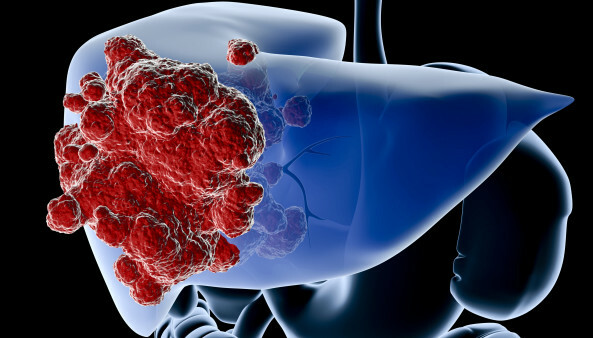 But the drug atezolizumab (Tencentriq), which blocks PD-L1, has not yet been effective at treating aggressive liver cancer. The new research from Ruggero’s lab offers an alternate strategy to crack the cancer’s defenses — checkpoint proteins don’t need to be blocked if they are never built to begin with. Much of Ruggero’s career has been dedicated to highlighting how cancer cells hijack translation control and the potential of therapies that directly target cancer’s “addiction” to high levels of protein synthesis, while leaving healthy cells — which have a significantly lower protein appetite — unaffected. In 2013, Ruggero and UCSF colleague Kevan Shokat, PhD, founded San Diego—based eFFECTOR Therapeutics, Inc, to explore whether drugs specifically targeting protein translation could form the basis of a new class of anti-cancer compounds. The new study tested whether an eFFECTOR compound known as eFT508 — which reduces protein production by inhibiting a cellular “translation factor” called eIF4E that is responsible for pairing RNA molecules with ribosomes — could block liver cancer’s ability to cloak itself from the immune system. This article was originally published on January 14, 2019, by the University of California, San Francisco, News Center. It is republished with permission.